Master Curry Karate Jujutsu Ryu, LLC is a family run school focused on giving you the absolute best martial arts training based on real world situations. Whether you're physically fit or have never done a pushup in your life - you'll be able to get in the best shape ever, learn how to defend yourself, or simply watch your children grow into stellar martial artists. We teach with a smile on our faces and keep the environment upbeat at all times. You'll have a blast making new friends, moving your body in new ways, and becoming part of martial arts history! 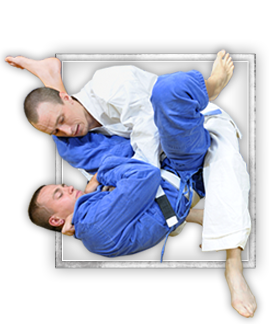 Below are a few ways you and your family can get involved plus all of the wonderful benefits and experiences that come along with Jujutsu Ryu training with our school. Train with the whole family. Learn how to strike, defend, and train together as a family unit! Both spouses and children are present in the Dojo. You'll get fit and learn amazing self-defense moves in a comfortable school while watching your family progress. We have generations of children and parents who have been with us for many years - and for good reason! 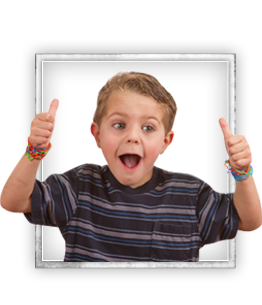 You'll get the Best Blue Ribbon Instruction for your child through a combination of the physical and many powerful life skills we teach. Family Values are so very important to us. Students are encouraged to replicate the values taught in class at home as well. Respect, honor, and a get it done attitude! 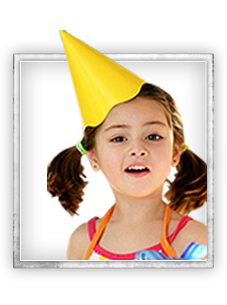 Bully-Proof Your Kids while Giving Them a Great Outlet for Extra Energy! School grades are monitored and we always encourage our children to do better. Kids are worked out physically and instructed on how to deal with Bully Situations. Plus, our Instructors have a Law Enforcement background (read all about our head instructor below!) and know how to instill the very best in safety rules, Stranger Danger, and surviving any confrontation or attack. Children get a big boost in self-esteem, set & reach goals, and learn to never accept defeat as a final solution. Great for Adults on Their Own Too. Our Adult Programs are exciting and fun for all experience levels. Classes are geared towards the busy hectic lifestyle of adults and rooted in Traditional Martial Arts with an emphasis on modern street survival. Kenpo Classes build lean muscle, tone you up, and give you amazing cardio benefits. 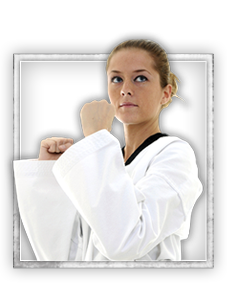 Realistic Karate gives you a Progressive Belt Structure to mark your improvements. Jujutsu Training is the root of MMA! Get physically fit while learning realistic self defense to defend themselves or families from harm. Adult classes encourage living a healthier lifestyle; reducing stress, giving you a mental break from the week, and strengthening your body are our main goals. Master Curry Karate Jujutsu is a Family run school servicing Staten Island since 1993. As parents, our children have attended our local schools and participated in sports activities; so, we're aware of the concerns that parents have for their children. We strive to meet every aspect of the healthy growth and progression for all family members involved in training. Don't miss our super-low web special on the class pages! You can read in detail all about what to expect when you come in and get a great deal. We can't wait to train with you and welcome you to the Master Curry Karate Jujutsu Ryu family! Master Curry started training in Kodadan Judo and Jujutsu in 1971, is a 7th Dan Professor in Sanuces Ryu Jujutsu, a 7th Dan Master in United States Black Cat Kenpo and has been teaching for over 35 years. His first instructor was Sensei Archie Campbell of the Jackson Jujutsu Kai. In 1980, he started training in United States Black Cat Kenpo under Grand Master Art Beins. In addition he has accumulated an impressive amount of real world experience through law enforcement training. 1991 was the start of a Successful Career with the New York City Police Department. At this time he began training in Sanuces Ryu Jujutsu directly under it's founder, world-famous, Dr. Moses Powell. The combined training was tested in "real" situations where the "ART" was legitimate, life saving moves without the fancy dojo "fluff". Master Curry has first hand knowledge of street survival and brings these real-life experiences into his teaching style for a robust learning experience. During his 20 year long career in Law Enforcement, Master Curry has worked in the toughest neighborhoods in New York City. His extensive training advanced him to work in the Plain Clothes Anti Crime Unit and Organized Crime Control Bureau /Narcotics Division as well. As a detective, Master Curry spent his last 10 years in the Intelligence Division. As a Senior Intelligence Instructor, he taught many courses including Anti Terrorism and Survival Tactics. Master Curry has received numerous accolades from the NYPD including "Cop of the Month" and Awards from the City of New York for teaching Self Defense to Senior Citizens in Bedford Stuyvesant. Master Curry in an expert in Hand-to-Hand Combat, as well as Knife and Gun Defense. He is nationally recognized and has been inducted into many Hall of Fames. Come join our Staten Island , NY Martial Arts facility! 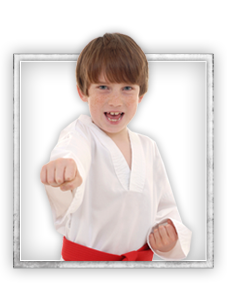 We offer programs in Kids Martial Arts, Birthday Parties, Adult Martial Arts, JuJutsu, Mixed Martial Arts, and Summer Camps. Choose a program that most interests you and have the opportunity to sign-up right here on our site for one of our awesome web specials. Or feel free to give us a call at 718-979-7087 if you have any further questions. Master Curry Karate Jujutsu Ryu, LLC hopes to speak with you soon!